Not enough, too much, life is about quality time. 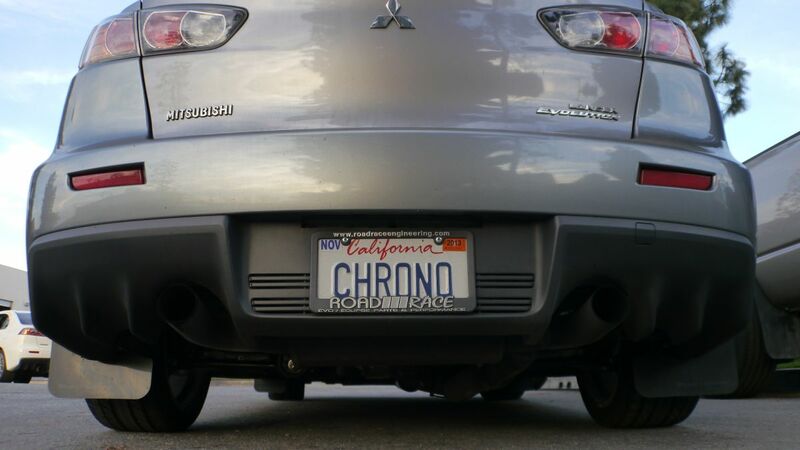 Chrono is Greek for “time”. Jin’s 2013 EVO X GSR tends to shorten the time it takes to get from Point A to Point B. He has simple mods, AEM CARB legal intake and a RRE Stealth cat back exhaust. The GSR is running a safe track tune at 290 whp on the RRE AWD Dynapack dyno. This entry was posted on May 12, 2013. It was filed under Blog and was tagged with Customer Cars, EVO X, License Plates.